•	Jay called the meeting to order. 35 members in attendance at the meeting and 3 visitors including Jarvis and Juliette from the local Boy Scout Troop. Welcome everyone!! •	The Pledge of Allegiance was led by Bryant. •	Travis gave the VP report and thanked Charlie and Rose for providing snacks at this week’s meeting. A volunteer was solicited to bring refreshments to the April meeting with no volunteers. Max will provide snacks. Travis also again asked if anyone would be interested in doing a program. Hobbies of any type to share would be welcome. If you are interested, please see him or Jay. •	Amanda gave the Treasurers report. •	Max gave the Secretary report. He welcomed everyone and explained the hidden treasure activity. The new club t-shirts have been ordered and will now be $15. They will be available at the next meeting. There is also an opportunity to get long sleeved shirts for $15 as well. If interested, please see Jay. •	Hunt master Mike announced that the prizes for the raffle and some coins for the hunt have been purchased. Tickets are available to members this evening to take and sell. Don’t forget, Mike has offered to donate prizes to award to the member who sells the most tickets at each meeting between now and the drawing on June 4th. This month’s winner was Otto with $350. Great work!! If you are interested in selling tickets, please contact Mike. •	The membership recruitment challenge was finally won this month with Mike recruiting two new members. He was awarded the uncirculated 1964D Half Dollar. Congratulations Mike!! Thank you to all members as we have had several new members join as a result of this effort. •	Otto and Jay shared that they had assisted the folks at the Brownwood Area Community Gardens with locating some buried washers to mark the water lines. They had a difficult time locating the markers due to the amount of trash in the area, however; they were able to eventually locate enough markers for the lines to be located. There will be positive press for the club in the Brownwood Bulletin and on the community garden web page. Be sure to reach out to Jay if you hear of other opportunities for the club to assist the community. 3. There was no third place. Charlie and Pat both turned in pennies but didn’t turn in more than the required level to count. •	Jay passed around some old photo albums from the previous President of the club for members to see some of the finds that have been associated with the club in the past. •	Treasure cache clue. The May clue will be posted on Facebook. Good luck and happy hunting!! •	The “Surprise Hunt” scheduled for Saturday, April 13th was cancelled due to inclement weather. This activity will be rescheduled for Saturday, April 20th. Please reach out to Jay at (325)646-1000 (best time to call is after 7:00 p.m.) or refer to the club Facebook page for details. •	Club member share this month was Steve sharing that he found 3 1937D wheat pennies all in the same area on the same afternoon. Sometimes it happens that there is more than one object in a hole so be sure to clear your holes completely before filling them back in. •	FYI: Bob Turner purchased an estate that had 10-12 used detectors in it. If you are interested in any of this equipment, please be sure to reach out to Bob. •	New activity: The club is looking for volunteers to work with our local Boy Scout Troop to assist with introducing them to the hobby of metal detecting. There will be a “hunt” on Saturday, May 4th starting at 12 Noon at Alcorn Park. Volunteers are needed to bury coins, donate foreign coins or other interesting items for them to find, and to assist the boys in the operation of metal detectors. We will also need some folks to allow the boys to use their detectors. If you are interested, please just come to the park on May 4th. If there are questions, please contact Max or Jay. THANK YOU to Charlie and Rose for bringing the April snack. If you would like to volunteer to bring refreshments to any meeting, please let Travis or Max know. 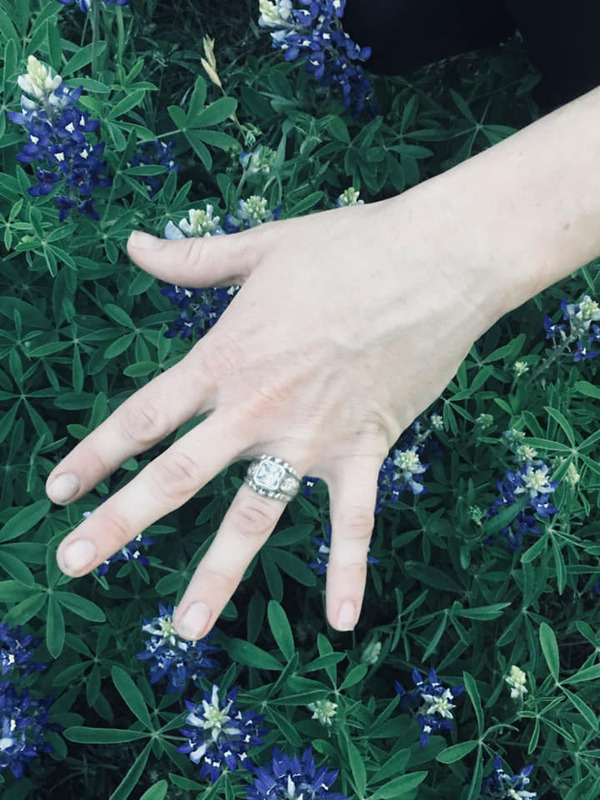 	Our next regular meeting is Tuesday, May 7th, 2019 at 6:30 p.m. at the Early Chamber of Commerce building, 104 E. Industrial Blvd, Early, Texas. Words cannot express how excited I was ... I’m still excited and so grateful for Mr.Airhearts new passion for metal detecting ! Keep it up Pete !! Happy treasure hunting good sir !!!" •	Jay called the meeting to order. 25 members in attendance at the meeting with two new members, George and Patsy. Welcome everyone!! •	The Pledge of Allegiance was led by Brian. •	Pete Morgan asked if he could say something before the meeting began. He reminded club members that we all need to considerate during the meetings, especially when we have large crowds, because it is hard to hear. •	Travis gave the VP report thinking Max for bringing the snack for this meeting. A volunteer was solicited to bring refreshments to the April meeting and Charlie volunteered. Thank you! Travis also asked if anyone would be interested in doing a program. Hobbies of any type to share would be welcome. •	Jay gave the Treasury report. Amanda Bramblett, our newly elected Treasurer will assume responsibilities for the bank balance starting next meeting. •	Max gave the Secretary report. He brought his ring sizer, Dremel tool, and mallet to the meeting for members to use in cleaning up pieces that they have found. Max also reminded the group that we only have 3 club t-shirts available at $10. Next time they are ordered the price will be raised to $15 per the vote at the January meeting. •	Hunt master Mike announced that the prizes for the raffle and some coins for the hunt have been purchased. Tickets are available to members this evening to take and sell. Good photos of the prizes will be added to a flyer to promote the raffle. Mike has offered to donate prizes to award to the member who sells the most tickets at each meeting between now and the drawing on June 4th. Thanks Mike!! If you are interested in selling tickets, please contact Mike. •	The membership recruitment challenge had a tie between Charlie and Mike in March with each of them bringing one new member. Contest will be extended until the next meeting in April. The member who recruits the highest number of new members will get an uncirculated 1964D Half Dollar. New member applications can be picked up with Travis. The competition will go on until there is a clear winner. New member forms should be turned in to Amanda. •	Treasure cache clue. The April clue is: Go to Kiwanis Park in the end field. Good luck and happy hunting!! •	The will be a “April Surprise Hunt” again this April. Stay tuned for more details. Hopefully this year it will be warmer than 30 degrees!! •	Pete Morgan suggested we start a club member share. Each month, we will have one club member share a story about something interesting that they found or someone they talked to while out looking for treasure. 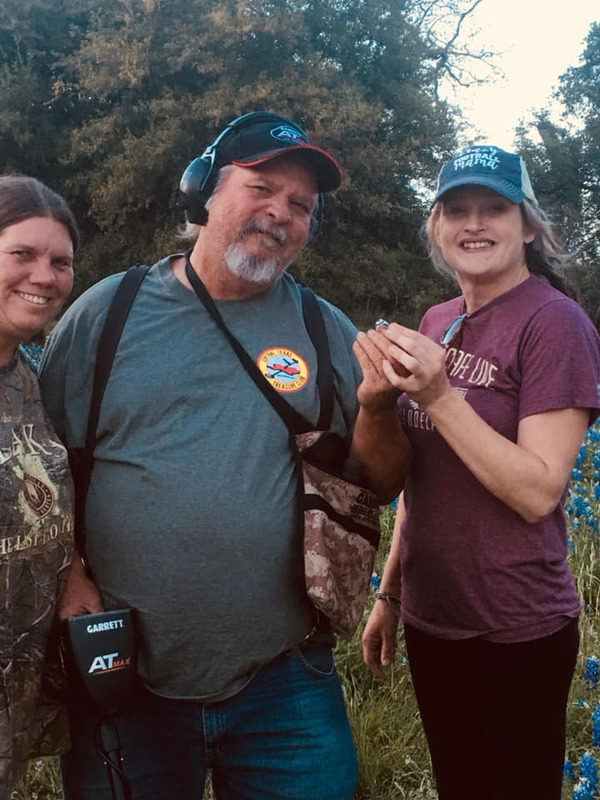 Pete started with a story of hunting in a location here in Texas where he found two different tokens each from Florida in two different areas about a mile and a half apart all in the same afternoon! …maybe it was the universe reminding him to drink more orange juice? •	Jay introduced the next club activity - The Penny Challenge!! Points will be awarded for each Penny members find. Like our Nickel Challenge, the rarer the type of Penny, the more points they are worth in the competition. The challenge will be to get more points than Jay can get over the month. There will be a 1st, 2nd, and 3rd place awarded. In the event of a tie, we will draw for first place. Only Pennies that were found starting at the end of the March meeting until the beginning of the April meeting count. Details have been emailed to each member so let’s get out there and find some Pennies!!! THANK YOU to Max for bringing the March snack. If you would like to volunteer to bring refreshments to any meeting, please let Travis or Max know. 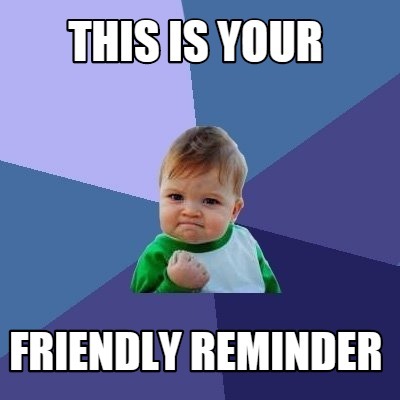 	Our next regular meeting is Tuesday, April 2, 2019 at 6:30 p.m. at the Early Chamber of Commerce building, 104 E. Industrial Blvd, Early, Texas. •	Jay called the meeting to order. 13 members attended the meeting. Welcome everyone!! •	The Pledge of Allegiance was led by Mike. •	Travis was not available to give the VP report, however; a volunteer was solicited to bring refreshments to the February meeting and Roseanne S. graciously volunteered. Thank you! •	The club Christmas Party was held on Thursday, December 20th at Section Hand. A fun time was had by all who were in attendance!! 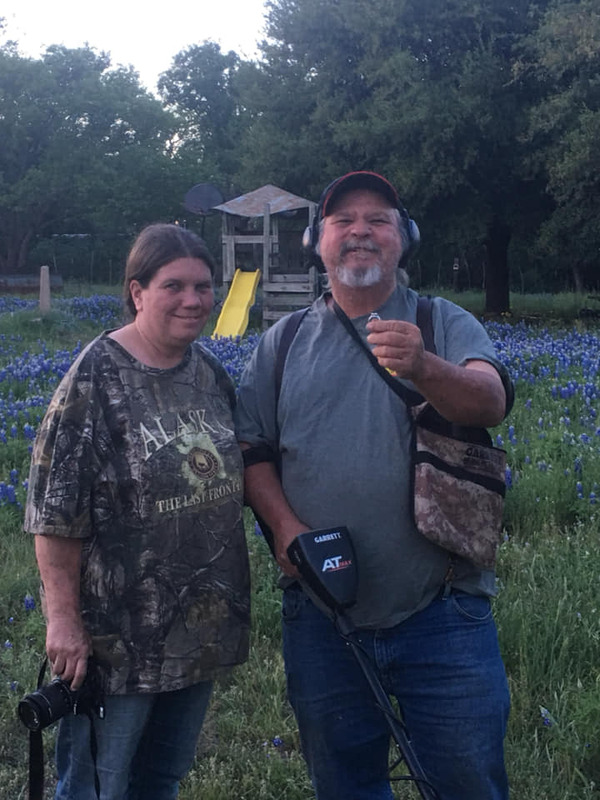 •	2018 Find of the Month Winners were announced with Jay coming in first, John Meeks capturing second, and Ralph finishing in third. Congratulations gentlemen!! •	Jay gave the Treasury report. •	Jay is still filling in until another volunteer for the Treasurer position is identified. If you are interested in volunteering, please see Jay. Elections for the position will be held at the February meeting. Please consider volunteering. 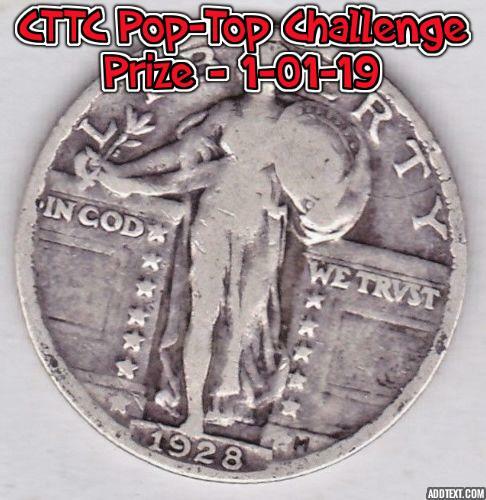 •	Poptop Challenge was won by Jon Meeks. He cleaned up 345 tops to win the prize of a 1928 Quarter. •	The membership recruitment challenge had no winner in January. Contest will be extended until February. The member who recruits the highest number of new members will get an uncirculated 1964D Half Dollar. New member applications can be picked up with Travis. The competition will go on until there is a clear winner. •	There will be no program after tonight’s meeting. •	David Autrey found the Treasure cache. Clues as to the new location will be given at the February meeting. •	A motion was raised by Bryant Martin to increase the cost for a club shirt from $10 to $15. The motion was seconded by Mike and accepted by a majority raise of hands. •	February’s meeting will include a discussion and possible vote on prizes for the next seeded hunt and purchased raffle prizes. THANK YOU to Jason B and Jay L for bringing the January snack. If you would like to volunteer to bring refreshments to any meeting, please let Travis or Max know. 	Our next regular meeting is Tuesday, February 5, 2019 at 6:30 p.m. at the Early Chamber of Commerce building, 104 E. Industrial Blvd, Early, Texas. The race for 2019 Treasure Hunter of the Year has begun this month and will continue through the Finds of the Month vote at our December 2019 meeting so get those detectors out and get in the race! I've enjoyed about 4 hours of metal detecting the past 2 days. Yesterday, I hunted with another treasure club friend and we found several WW II relics and I even found two pieces of very old American Indian pottery while detecting. I went out alone today, to a different site, and found 21 modern pennies, a quarter, a Ford car key on a rusty key ring, and some more pop-tops to add to the baseline number to exceed in order for our Central Texas Treasure Club members to be eligible to win this month's Pop-Top Challenge. The winner will receive a very nice 1928 Standing Liberty quarter. If you're not digging pop-tops and nickels, you're missing many of whatever gold rings you're walking over. Probably the best find I've made during the past 2 days is a crystal clear, beautiful creek that I know must have been used as a wading or bathing pool long ago during the hot Texas summers, before air conditioning came along. 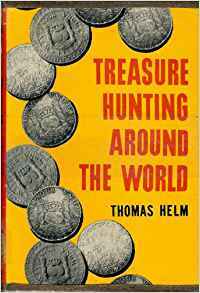 I'm filing that away in my memory for future treasure hunting adventures.